Let’s admit it. Everyone needs to pull a prepared meal out of the freezer every once in a while — even on a Meatless Monday. Thankfully, there are some options that are meatless, tasty and healthier than others. When you have to reach for the freezer handle to find your meal, it’s nice to know that you have healthier — and meatless — frozen options available! 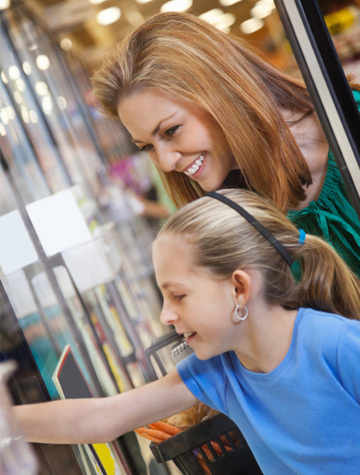 Since March is National Frozen Food Month, we thought we’d celebrate by giving you a few frozen food options you can pull from the freezer and serve with fresh vegetables or a nice green salad for quick, healthier options. Not all frozen foods are bad for you, but some are definitely better than others. You don’t have to stock your freezer with chicken wings, pepperoni pizza and beef burritos in order to have a great meal or snack ready in a short time. Think frozen vegetables, veggie patties, potatoes and meatless pizzas. Some really great frozen options include foods from Veggie Patch. The company offers delicious, convenient and healthy options that are meatless and handy when there’s no time for a complete homemade meal. Another bonus: Kids love them! Broccoli bites with cheese, zucchini sticks and spinach nuggets make great snacks or appetizers when you’re in a pinch. Veggie lovers burgers, meatless meatballs and veggie dogs are perfect to serve as the main part of your meal and allow a few minutes to pull together pasta to serve with the meatballs, or a fresh salad or beans to go with your dogs. Do you think of cereal or snack bars when you think of Kashi? Did you know they also make frozen pizza, single-serve frozen entrees and whole grain frozen waffles? Kashi’s Pesto Pasta Primavera has veggies like peas, peppers and carrots served with whole grain pasta in a basil pesto sauce. The Spicy Black Bean Enchilada offers loads of vegetables wrapped around a corn tortilla, topped with a zesty sauce and served with a side of whole grain pilaf. There are also several Kashi frozen vegetarian pizzas to choose from with crusts that blend Kashi’s Seven Whole Grains & Sesame with flax seed. Yum! There are many good meatless, frozen foods available. Veggie Patch and Kashi are two companies that blend taste, healthier ingredients and a variety of meatless options, especially nice when you’re pinched for time — even on a Meatless Monday! With the time you’ll save, toss together a great salad to serve with the rest of your meal! Combine all the vegetables in a large bowl. In a small bowl, whisk together the vinegar and oil, salt and pepper and toss it with the vegetables. Add the feta cheese and toss again to coat well before serving.